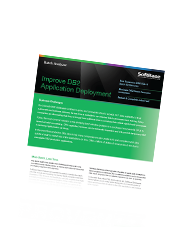 SoftBase offers tools for z/OS Db2 application development, testing, and deployment. 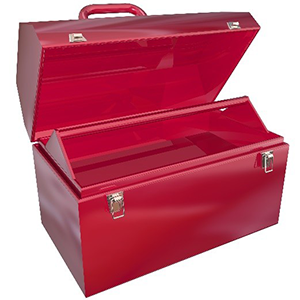 We offer twelve tools, seven under the TestBase umbrella for development and testing, and five tools for Db2 application deployment. Test critical Db2® applications faster, better, and safer with TestBase. This completely integrated Db2 testing workbench allows you to quickly extract realistic test data in convenient quantities and to then provide "Self Service" data to all application testers. TestBase also will secure ALL sensitive or confidential data in your Db2 testing environment. Building a complex SQL statement can be challenging even for experts. Db2 Query Build steps you through the process one step at a time. Most joins can be created simply by pointing to the 2 tables you wish to join and specifying which columns from the tables you want in the result set. If there is no Db2 defined referential integrity, users may have to specify their own join columns. Db2 Query Build does not stop at joins, correlated and non-correlated subqueries, table expressions, union, union all, group by, having, and even bill of material explosions can be specified. Debug SQL statements in an application program without leaving the program. You can change the SQL, supply values for host variables, execute the SQL, see the results, export the results to a file usable by most spreadsheet software, explain the SQL, and see the results of the explain. If you also have Db2 Catalog Guide, you can see the statistics on the tables in the SQL, see the available indexes and their statistics. All three determinants of Db2 access path selection at your fingertips. The SQL, the access paths available, and the statistics on the table and its access paths. You can even see if the table is defined as VOLATILE. Extract subsets of test data, document them, and load them into one or more test environments. Subsets are saved and labeled as well as timestamped for later load or extract. Referential integrity rules are used to navigate the extract so the extracted subset has referential integrity. Multiple starting points can be used to accomplish the extract while avoiding duplicate rows. The extract and the subsequent loads are built for speed. The latest Db2 technology is used: multi-row fetch, multi-row insert, multi-row merge, declared global temporary tables, sorts by the clustering index, etc. Db2 Mask needs Db2 Subset to operate. It masks sensitive data as it is being extracted. Masks are mandatory (unless authorized). They can be defined on all columns of a name including their aliases or on a specific column of a specific table. Audit reports are available on the rules themselves, extracts, authorized unmasked extracts, and where that unmasked data was loaded. Allows users to maintain or change data in Db2 tables or views. It uses a presentation familiar to ISPF users, ISPF Edit. Data is presented in rows and columns, all of the commands available in ISPF Edit are also available in Db2 Edit. Up down, left, right, move, copy, replicate, upper case, lower case, exclude, show, etc. In addition, there are commands to freeze columns, modify the display width, export and import to physical sequential datasets for use in spreadsheets, and explode columns to see one row and column value at a time. A line command LOB lets you see all the lobs. Each lob can be seen or changed. Develop and test in one set of Db2 tables and packages without interference while using fewer Db2, CICS, and z/OS resources. Slice has facilities to unload test data in a slice, document the contents, and timestamp it. Each unload can be loaded to the same or other slices. Unloads can be compared or compared excluding tables or columns. Large slices can use partitioned slice where each slice is a separate partition. Partitioned slices can be unloaded and loaded using Db2 utilities. Like Db2 Subset, built for performance using the latest Db2 technology. The Db2 catalog is a wealth of information. This information is useful to developers, testers, and production staff. Most tools, however, lock the data in the catalog or users querying forget to specify FOR QUERY ONLY WITH UR. Even when they remember to specify it, it is often dynamic SQL which can also obtain locks on the catalog. Db2 Catalog Guide is 100% static SQL that will not lock the catalog. The catalog itself is a very complex database. Db2 Catalog Guide makes navigation of the database easy. There is a Db2 command interface as well as an explain interface for SQL in the catalog. Softdate/z is a powerful, flexible and user friendly date and time simulation testing and production tool for z/OS. The Dynamic Intercepts technology does not require permanent modifications to key system routines and does not impose a heavy background CPU load on all other work running in the same z/OS image. Unique support for virtual dates beyond year 2042. Db2 for z/OS users running on other platforms can share the same Db2 subsystem but each run with different virtual clocks are among the key features of the product. DeadLock Advisor identifies the source of deadlock timeouts and resource unavailable conditions and presents that information on the offending and offended batch job's log. With DeadLock Advisor, programmers can quickly identify the cause of deadlocks by examining the joblog of the affected application. For conditions involving two batch jobs, even though typically only one job receives a negative SQL code such as -911 (and neither job receives a message), DeadLock Advisor places a message in both joblogs. The deadlock (or resource unavailable) condition is then instantly visible to all parties involved. Connects to Db2 for batch. In addition to allowing a batch application to run as a native z/OS job streams with //STEP EXEC PGM=progname rather than TSO or IKJEFT01, Db2 Attach provides a wealth of other facilities. The user can supply values for Db2 special registers like CURRENT SQLID at run time. Use of multi-row fetch (MRF) dynamically for specific cursors – even when they have not been programmed for MRF is available. A variable commit frequency or auto commit strategy is available to decrease contention or improve performance. LOGRBA values can be easily externalized and provide valuable information needed for recovery. Tracing at a granular level is available when needed. If Db2 Checkpoint and Attach are running together in a batch job, the job can automatically restart itself within the same job execution for SQLCODE -911 timeouts or deadlocks. Db2 Checkpoint allows users to insert COMMITs and CHECKPOINTs into Db2 batch jobs, in many cases without even changing the application. Db2 Checkpoint can restart Db2 batch jobs at the last CHECKPOINT prior to the point of failure, restore the working storage area, and reopen/reposition sequential files It provides applications with a single, unified restart solution as opposed to restart logic coded directly into several applications. It supports use of operator commands to 'quiesce' a long running job at the next successful checkpoint and restart the job at a later time. Helps developers maximize Db2 application tuning efforts by finding the worst performing applications first with almost no overhead. Performance data is captured and is almost immediately available after batch job completion. An ISPF interface allows developers to locate their own performance problems rather than using scarce systems and DBA resources.